Back in 2012, Chris Auman wrote an article titled “5 SEO Tactics to Avoid at all Costs.” Needless to say, a lot has changed over the past four years when it comes to digital marketing and SEO. Despite all the information on the web about how search optimization has changed and what not to do when it comes to SEO, we still find many companies dealing with old SEO tactics. Perhaps these are still around because of a less than reputable SEO provider or maybe just because companies haven’t had the time or budget to addressed their approach to search optimization. With that in mind, we thought it would be a good idea to revisit these tactics for a little refresher on what you should not be doing. What Chris wrote in 2012 is still very much relevant in 2016. #1: Keyword Stuffing – Keyword stuffing may happen if you are writing about something that requires certain keywords to be repeatedly used but it is still something that needs attention. While overusing certain keywords once worked to get your site or blog bumped to the top of a Google search, it now has the opposite effect. Saturating your piece with the same words over and over is a clear abuse of SEO and can now get you booted from search. Also, it makes the content clunky to read. #2: Paying for Links – Having links and backlinks is something else that should happen naturally. Paying for this type of connection is considered unethical and will probably not get you the results you want. Creating fake websites just to increase the backlinks to your site is not an ethical practice to follow, which ties into the next point. #3: Hiring someone to leave fake comments or to write false reviews and testimonials – The idea is that you should be attracting authentic versions of these for other users to see. If you want to encourage visitors to your blog or users of your product to leave real comments, reviews or testimonials that is one thing. If you go out of your way creating false reviews, you are operating with black hat marketing techniques. #4: Hidden or Invisible Text – This is the practice of using text that cannot be seen by visitors to a site or blog but is detected by search engines. 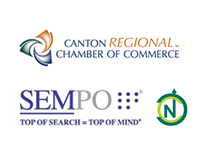 Again, it is considered a less than ethical tactic to use to rank higher on search engines. Using hidden text is seen as a form of spam, frowned upon by most and if used, the site runs the risk of incurring a penalty from the search engines. #5: Using Misspellings – This happens when you create content using keywords that are commonly misspelled as part of your content marketing plan. Using the misspelled version of the word but directing it to the correctly spelled version is frowned upon and not a good practice to get in the habit of for SEO. While it may be tempting to use some tricks that are “in the gray area” you will more than likely be sorry you did. 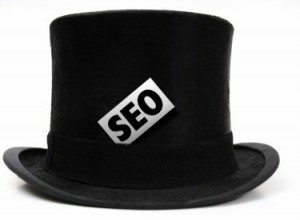 In the long run, it is never worth using these types of black hat approaches to SEO. Yes, it may take more time to build up the desired effect from white hat techniques, but the results will be better and longer lasting. Avoid making these mistakes, whether intentional or not. If you are not sure whether your site falls into these traps or not or need direction on how to update your marketing approach, contact us. Sanctuary Marketing group has Digital Marketing strategists who are experts at this, and we’re here to help.